CorePhysio, providing physical therapy in Santa Fe, New Mexico, is dedicated to helping Santa Feans maintain health, restore lost mobility and stay active. CorePhysio, providing physical therapy in Santa Fe, New Mexico, is a physical therapist owned and operated clinic dedicated to helping Santa Feans maintain health, restore lost mobility and stay active. We are focused on orthopedics and distinguished for our effectiveness in helping patients recover from injuries and conditions and ensure that their issues do not reoccur. We take a functional manual therapy approach to our treatments coupled with education and encourage a partnership approach to recovery. Specialized services we offer include the Feldenkrais Method™, Functional Movement Assessments, Dry Needling, and Aquatic Therapy. We are distinguished for our years of experience in treating back pain, neck pain and sports injuries in recreational athletes. 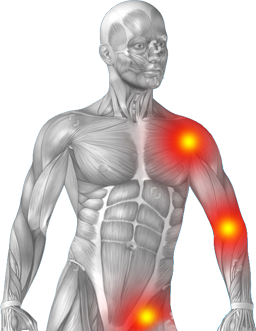 CorePhysio also offers ongoing courses in First Aid, Cardio Pulmonary Resuscitation (CPR) and Qi Gong, among others. Dedicated to your pain-free quality of life, our physical therapists are highly-educated and experienced professionals who can help you reduce pain and improve or restore your mobility. We offer this integrated and seamless treatment system which couples hands-on manual therapy with mechanical treatment to enhance your optimum motor control and human function. We are certified to offer The Feldenkrais Method™ which is a form of somatic education that uses gentle movement and directed attention to improve movement and enhance human functioning. We are certified to conduct dry needling, a therapeutic treatment procedure that involves multiple advances of a filament needle into the muscle area of the body. Patients with injured limbs benefit greatly from aquatic therapy. The weightlessness and buoyancy of exercising in the water helps to restore functionality and range of mobility. We use a variety of specialized physical therapy services coupled with an education component to treat both chronic and acute back and neck pain. We treat recreational athletes who have sustained sports injuries or who are recovering for surgery to help them restore their strength and get back in the game. Erik D- DPT, OCS, COMT, Cert MDT ..